Here's A Tried & Tested Guide To The Best Lasagne In Town. How Many Have You Tried? If lasagna makes you go weak in the knees, just like Garfield, welcome to the club. 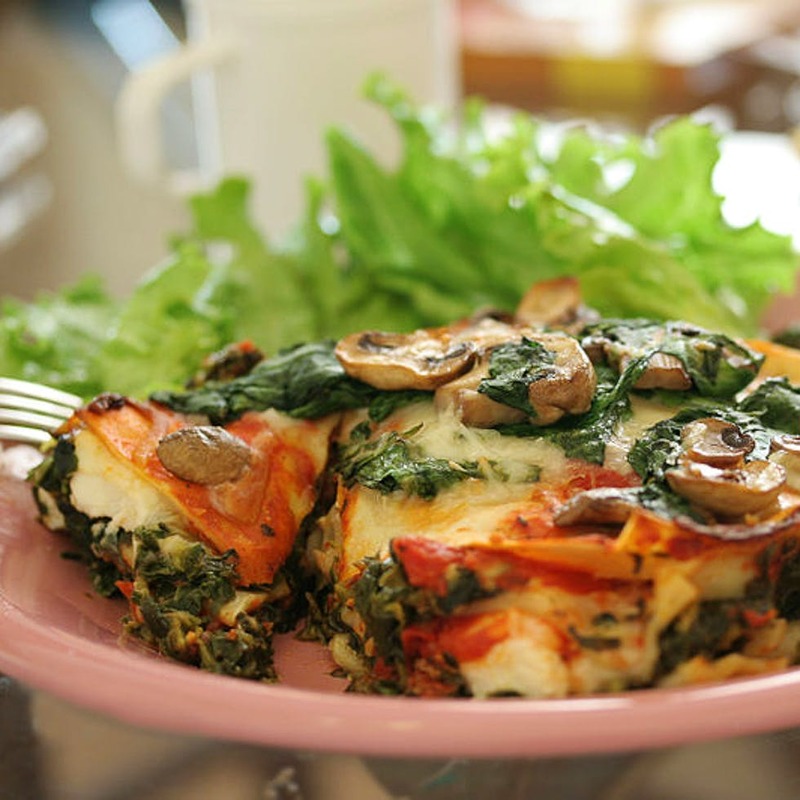 We never deny ourselves a good plate of lasagna, no matter how many calories it holds. And if you want to go on a lasagna trail in the city, pack your appetite, and follow us. How classic is 10D's lasagna? We grew up on a healthy diet of Spicy Grilled Chicken lasagna at 10D, which also made its way to the lunch combo meals along with other varieties of lasagna that you can score at INR 290. This is probably not an authentic version of lasagna but we love how it is entirely covered in creamy cheese. How would you like some jalapenos in your pasta? Jonathan's Kitchen in Gachibowli makes a pretty mean dish of Mexican Chicken Lasagna, which is full of surprises. Chicken is tossed with jalapenos and coriander, which lend it not just Mexican but also a very desi twist. Plus, it's super spicy! Thinesp is tucked almost in the outskirts of the city, but the distance is really worth the drive. You can make a king's meal out of the Lamb Oven Baked Lasagna, or go for a chicken one. But if the sound of mushroom, spinach, and sweet corn sound like music to your ears, the vegetarian lasagna is also top notch. The lasagna at Heart Cup Coffee is loaded with cheese and makes for an awesome beer companion. Split it with your date, as the portion is high, and spend a lovely evening over lasagna and music. Plus, the lamb lasagna will take you back for more. Ga Cibo is a tiny kiosk in Forum Mall's food court, and it surprisingly makes really good pasta and lasagna. The kiosk has an open kitchen and you can watch your order prepared. Whatever is your choice of spice levels or amount of sauce, these guys can tweak it up (only a bit) for you. They've got an awesome lasagna combo that we recommend. This vegetarian restaurant in Jubilee Hills doesn't make you regret eating your greens even one bit. The Lasagne at Tatva is really well stuffed with exotic vegetables and white sauce. Not spicy, not too bland, this one's got the right amount of everything. The Roasted Pepper and Zucchini Lasagne at Ciclo Cafe, although runs a little greasy, is super delicious only for one reason — it's simple and classic. With not too many overwhelming flavours, this tiny-plated dish is perfect for those evenings with red wine. This Sainikpuri pizzeria is popular for not just its pizza but also lasagna. The wood-fired oven gives the lasagna a smooth smokey flavour, and it has plenty of flavours and vegetables that come together in making this a winner.